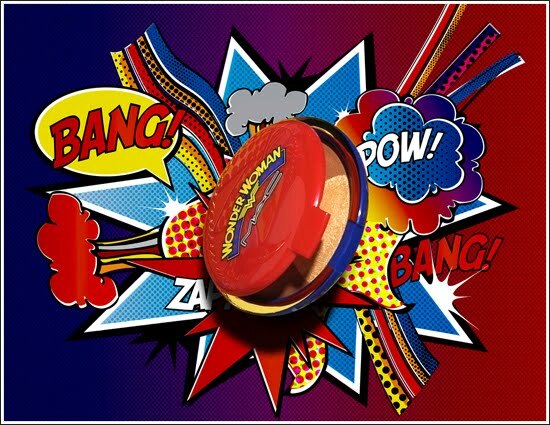 Recently, MAC makeup announced their new line of Wonder Women makeup. As a geek girl, I was thrilled. Yes, it is probably a shameless attempt at the company to get my money, but it makes me feel validated as a geek and a girl. It's nice to feel that a makeup company recognizes that geek girls aren't a stereotype and that we wear makeup. 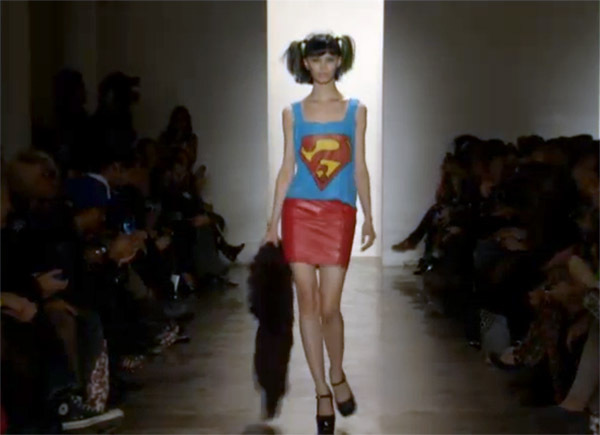 MAC even sponsored this great fashion show by Jeremy Scott during NY Fashion Week that features Superhero Fashion. I went with the team to Macy's to check it out because it looked so fun! While Getsuyobi hid by the door holding our bags, Wysefyre and I happily checked out all of the fun cases they had out. 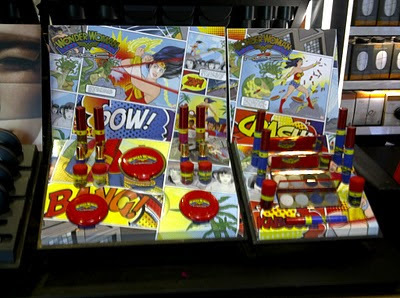 The display was old school Wonder Woman and looked great. A guy even came in off the street just to take a picture of it. I loved the look of the compacts and how bright and bold they were. They did capture the feel of Wonder Woman. 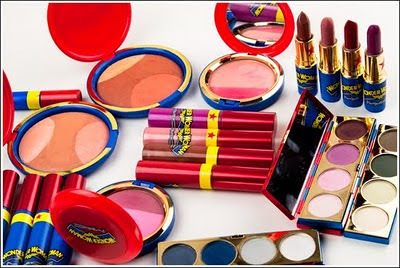 The makeup colors were also bright and bold to the point of "I can't wear those except to a cosplay" bright. Granted, with the right skin tone, it may look good, but the average girl might feel a bit out of place. 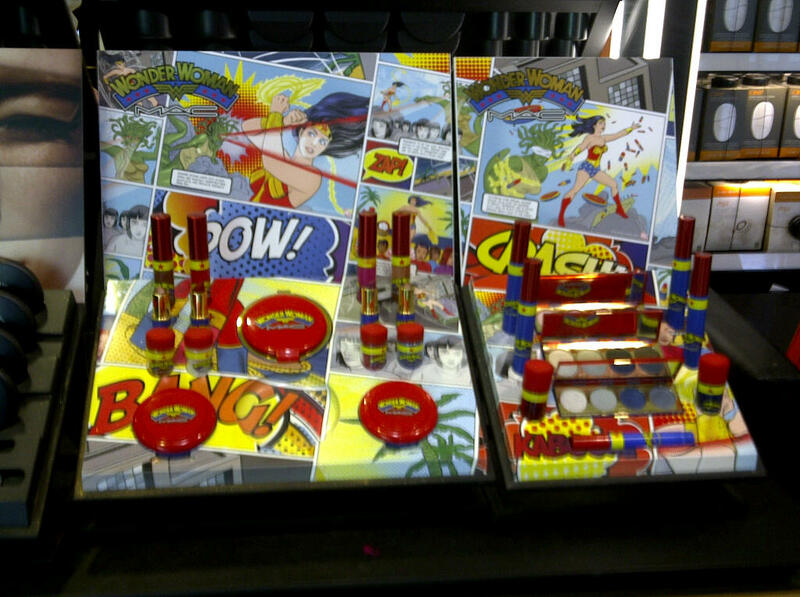 I had gone into the store planning on buying a lip glass, because I love having all different shades of lip wear. After looking at everything, I decided to buy Secret Identity, a bronze, shimmery shade that looked similar to other lip glosses I own and the only one I liked out of the bunch. When I finally got home to try it, it looked very watery against my lips, almost like melted chocolate. Once I blotted, it looked a little better but I was disappointed. Wysefyre tested the eyeliner on her hand, and it refused to wash off for two days, despite a lot of scrubbing. It finally came off after she used some toxic strength cleaning products. Overall, this line didn't stand up to MAC usual quality. However, I still plan on buying regular MAC products, and I am hopeful that they will expand the Wonder Woman line with better quality stuff.